The Civil Aviation Ministry is charting out the disinvestment of the debt-laden carrier. Mumbai: BJP ally Shiv Sena today came down heavily on the centre over its decision to privatise national carrier Air India, saying had such a decision been taken by the previous Congress-led UPA government, the BJP would not have spared it. It also asked the finance minister to spell out the reasons which made the 'Maharaja' (Air India's logo) a "beggar." The Sena's taunt comes two days after Finance Minister Arun Jaitley said the cabinet has given "in-principle" approval for the disinvestment of Air India. "Had this decision been taken by the previous government, the BJP would have exposed the Congress in public. The BJP would have asked how can a government that cannot run an airline, run the nation," the Sena claimed in an editorial in party mouthpiece 'Saamana'. "But the BJP today has indulged in the sale of the national carrier," it noted. The Sena also sought to know from Mr Jaitley the reasons for Air India's downfall and losses in the last few years, and those responsible for it. The airline earlier had a local market share of about 35 per cent which has gone down to a mere 16 per cent. This happened as many routes were sold off to private companies by the Civil Aviation Ministry, the Sena claimed. "Today the airline is being sold off as it has a debt of Rs 50,000 crore...They (the government) cannot be trusted," the Sena claimed. 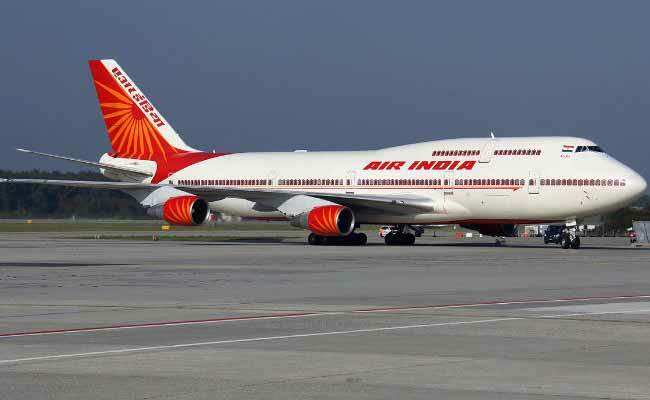 Surviving on taxpayers' money, Air India has been in the red for long and various proposals, including government think-tank NITI Aayog's suggestion for complete privatisation, have been made. The airline has a debt of more than Rs 52,000 crore and is surviving on a Rs 30,000-crore bailout package extended by the previous UPA government in 2012. Shiv Sena Cautions BJP, Advises PM Against "Nationalism Of Convenience"